Mary Elizabeth Fricke has lived her entire life within five miles of the Missouri River. She and her husband of 37 years have lived 35 of those years on a farm that has been consistently owned and operated by his family for five generations. They have two grown sons married to wonderful women and two beautiful grandchildren. 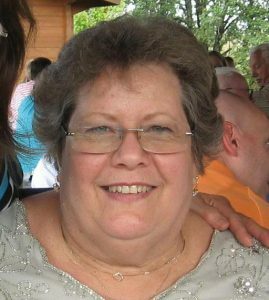 A graduate of the Writer's Institute of America and a member of the Heartland Writers Guild, she has published a number of articles in various forums and magazines, as well as Dino, Godzilla and the Pigs, My Life on Our Missouri Hog Farm. She is also a prolific ghostwriter. Her stories, based in rural mid-western areas, concern the unique but quickly vanishing way of life on the family farm as well as other mysterious intricacies that evolve life from generation to generation. Romance is her preferred genre. Demise of Innocence (Sweet Pea I), Time to Deceive (Sweet Pea II), The Price of Passion (Sweet Pea III). Sweet Pea Boxed Set (Books I, II, III). The entire Trilogy in one cover just published as a Valentines Day Special! The only connection between The Sweet Pea Trilogy and the Birds in Peril Series is their central Missouri location. All characters and most places are fiction. For me, writing is pretty much the same as breathing. I was imagining stories before I knew how to write them down. In school, I always made better grades in subjects I could write about. And, I always knew 'one day' I would write a book. When I was twenty-one, I decided to put that knowledge into action. At this time, I don't intend to ever publish that first book. My second effort, 'Sweet Pea' began as the final assignment for my writing certificate from the Writers' Institute back in 1980. I cannot say how many times it has been rewritten. It was just one of those stories that wouldn't go away and I finally published it as a trilogy last fall. As of Feb. 12, 2018, the entire story of 'Sweet Pea' can be purchased under one cover. For years, I worked primarily in non-fiction from writing religious stories of the saints and practices of the Catholic Church, to articles for medical websites, to historical articles about the Civil War. I've even published a couple poems–although I must admit poetry is difficult for me. My mother was the poet. I've published four other e-books and one hardback (my autobiography through SoHo Press). And, I've rough-drafted or outlined several more. Like I said in the beginning, writing is pretty much the same as breathing. If I couldn't write, I would cease to exist. I generally start with individual scenes. Sometimes I'll write a general plot but I rarely stick to that plot as the story builds. Nor do I write chapter by chapter. Sometimes the ending of a story comes to me before the beginning. Sometimes middle chapters just aren't there before the 'end' is written. So I'll write the end and go back to build into that ending. I tend to let my characters create their stories, meaning that I give them a personality and turn them loose. Sometimes I'm surprised by the things they say or do. My characters talk to each other all the time. Sometimes out loud and passionately. And sometimes, I have been embarrassed beyond measure when members of my family ask me what I'm doing…or laugh because 'Mim's gone off in her own world again'. Just write it. No one but you can take those words–that fantastic story-from your head and put in on paper/computer page but yourself. So just write it down. The first draft is always the most difficult. For years I ran the gauntlet of sending my work off to publishers and never receiving a reply or receiving some kind of rejection that assured me they really hadn't read what I sent them. I always wanted to write fiction but it was much easier to publish in non-fiction. So I wrote fiction in private while building something of a reputation as a non-fiction writer. Finally, in 2014 AKW e-books published the first of my Birds in Peril Series: Pigeon in a Snare. Roses for the Sparrow followed a few months later. But then, AKW closed and I didn't have any desire to go back to chasing publishers. So, when some of the other AKW in-house authors encouraged me, I began to self-publish as they were doing. So far that has worked out fairly well. I would like to sell more but the e-book market is extremely competitive, especially romance. So-as has become my life motto-I'm going to take what I can and run with it, wherever it goes. I believe e-books are the future market. It has become so easy for people to load books onto their e-readers, tablets or phones. Coffee table books, instruction books, and hardbacks will always have a place, but I think e-books will eventually dominate all book markets.